Titus is one of the greatest cinematic giants produced by Sri Lanka. The vacuum left by his sudden demise, is irreparable. The entire nation owes a debt of gratitude to this remarkable veteran artiste, who sacrificed his lifetime in building an unshakable image around the globe. Titus is a rare artiste, who was full of talent. He was involved in all aspects of the film industry and also in the television field of Sri Lanka. He was an all-rounder in the artistic world. He played an inestimable role in the film industry as an editor, sound engineer, director, producer, lab technician, art director and even did a little acting. In addition to the film industry, he was involved in television as a producer, director and in dubbing etc. The most recognized fact is that he was the best editor ever produced in Sri Lanka. Titus Thotawatte was born on April 17, 1927 in Colombo. There were five members in his family. His father was a businessman. His orginal name is Thotawattege Manual Titus de Silva. He studied in Ananda College and later entered the Colombo Technical College to pursue arts and other creative work. In the early 1950s he joined the Government Film Unit as an apprentice and later became a permanent employee. In the Government Film Unit, he learnt and gained experience in the finer techniques of making films but his forte was editing films. All the films made at the Government Film Unit were documentaries. He edited documentary films, such as, Conquest in the Dry Zone and Be safe or Be sorry which were directed by Dr Lester James Peries. Dr Lester James Peries, the father of Sinahala Cinema joined the Government Film Unit in the early ‘50s and Willie Balke, who later became one of the best cameramen also worked there during same period. Lester, Willie and Titus became close friends. This friendship created history and revolutionized Sri Lanka’s film industry. In 1955, these three leading characters left the Government Film Unit and started to make their own film. The film was Rekawa, which ceylonized our film industry. He is the first Sri Lankan editor to challenge the work of his South Indian counterparts and he also has the distinction of editing our first colour film. Titus is the best editor ever produced in Sri Lanka. Most of the films which he edited shone nationally and internationally. After Rekawa, he edited Sandesya, a film which was also directed by Lester with the photography by Willie. After that, nearly 25 films were edited by Titus himself and some of them were Parasathumal, Ran Muthu Duwa, Sarawita, Punchi Baba, Gatawarayo, Devarayo, Hantane Kathawa. In addition, he edited many short films and a few documentary films. The international award winning Minisa Saha Kaputa was one of the short films that he was involved in editing. Titus directed nearly six feature films. Most of the films became box office hits. His stories based on true and natural incidents which show the real side of society. The characters of the films are true characters, people who we meet in our day-to-day lives. His first film Chandiya shows the real informal urban segment. Haralakshe Mankollaya and Maruwa Smaga wase are based on incidents which happened in Sri Lanka. He created those stories and made them very close to reality. His films Sagarika and Suihasuna were not hit films, but try to emphasize the new trend. His film Hanadaya created a revolution in the Sinhala cinema and gave a boost to the making of children’s films. The other special experiment he did was to make three short stories called Thewatah (three stories or three faces), experimenting with feature films. The stories of the films were based on different themes. The three short films in Thewatah feature film were Picturer Pissa, Gilihunu Mal and Ahala Pahala. The short film Gilihunu Mal was highly appreciated by the professionals and the public and won the OCIC Award for the best short film. However, these three films are considered as short stories. Eventhough the songs of his film Puran Appu, a story based on a national hero were recorded, they were not completed. Unprecedented changes emerged which had an effect on the social life of Sri Lanka in 1979. This was the introduction of television, a sophisticated invention of the new world. The tendency to produce programmes to influence the people was realized as a national need with the arrival of the television screen, a spectacle that invaded our living rooms. In 1982, this great artiste Titus Thotawatte joined the Sri Lanka Rupavahini Corporation with the main objective of improving the production of television programmes of high value at a premium. Ran Kahawanu and the award winning Kumaraya and Hansaya (Prince and Swan) added with documentary films are a few examples of his ingenious creations. The remarkable contribution made by him with dubbing and providing subtitles to films is a semblance of revolutionized expertise on television programmes. He also produced number of documentaries and even a serious of programme focusing on economic subjects, such as, Ganu Denu (nearly 50 episodes) proving that he had the ability to touch on other subjects too. His attempt of innovative creations has inspired a new generation and helped them showcase their skills in partaking on various programmes. As a matter of fact both young and old recall the inexplicable memories of his great works like Malgudi Dawasa, Athuru Mithuru, Rasara, Ahala Pahala, Robin Hood, Oshin and Ha Ha Hari Hawa episodes in mint condition. His effort to influence children in particular has borne fruit. Characters by the likes of Pandithuma, Bagalawathi Teacher and Dr Honda Hitha are closely attached to the day-to-day social life of the current environment. He behoves public tribute as the only Sri Lankan artiste who earned an irrefutable reputation for giving priority to making children's films like the well known Handaya, a film that revolutionized the industry. The theme of the film Handaya was to focus the genuine mindset of children. In recognition of his distinctive skills, he was presented with the prestigious global award for the best film at the International Children and Youth Film Festival in Italy, in addition to many other national accolades won by him. The adorable creation of new characters in television dramas produced by him still shine and are at the fingertips of children. He became a knight in shining armour on inventiveness of cartoon characters and the influence these characters had on children and translated his remarkable know how into reality by dubbing television movies, a masterly performance of artistry. Dr Honda Hitha and Pissu Pusa are a few examples. 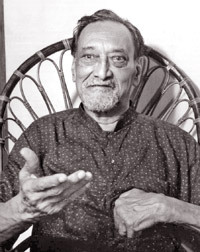 His masterly contribution to the film industry made in editing, script writing and direction was assiduously rewarded with the prestigious Sarasaviya, OCIC and Bunka awards by the unreserved recognition of the local and international cinema, as a tribute in appreciation of his stellar performance. Only he who can see the invisible can do the impossible. The greatest Grand Pix Award was presented to him at the International Film Festival for Children and Youth - Giffoni Valle Piana Italy for his children's film Handaya. Indisputably, he was honoured with very esteemed accolades of the Kalasuri Award in 1990, Sarasaviya Rana Thisara Award in 1995, Sumathipala Memorial Award in 1996, Swarnasinghe Award in 1997 and Bunka Award presented by the Japanese government on account of his inestimable partnership with cinema industry. Titus, enthused by his brilliant and innate talents in a variety of artistic skills, made an invaluable contribution to raise the cinema screen to the pinnacle of its glory. He excelled in arts and music with his innovative prowess, under leading musicians of virtuosity Ananda Samarakoon and Sunil Shantha during the time of his salad days. He trained in dancing under the famous traditional dancer Sesha Palihakkara. He became a talented artiste through practical training obtained at the Colombo Technical College. The people of Sri Lanka have always valued his dedicated contribution to Sri Lankan cinema, television and entire Fine Arts sector. Evidently, this great artiste started from scratch and used his extraordinary talents to overcome all challenges to produce a local Sinhala movie. The image of Titus Thotawatte developed in the Sri Lankan cinema can never be replaced and will shine at the pinnacle of everlasting glory on the cinematic screen in Sri Lanka. The writer is Ex- Head of Corporate Affairs and Communication of Sri Lanka Export Development Board.